Hawaii Cruise - April 09: Puka Dogs! 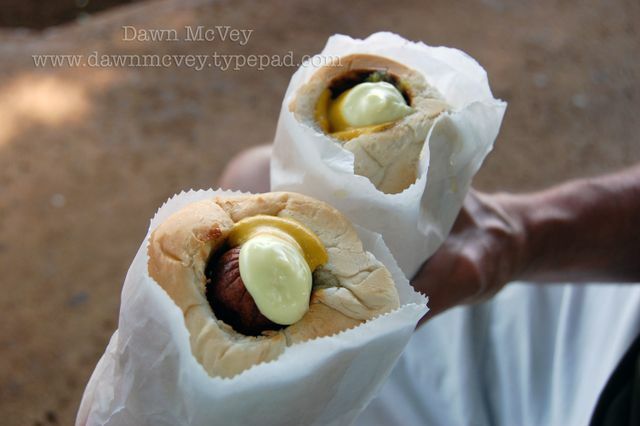 Puka Dogs are basically polish sausages in hollowed out buns with their 'secret sauce' (the white one in this photo) and your choice of other toppings. We added mustard.......so good! !